Pocket Sorter- Warehouse and Distribution - Automatic Systems, Inc. While the pocket sorter was initially developed for the apparel industry, this type of order fulfillment technology works for any picking application that needs both accuracy and flexibility. 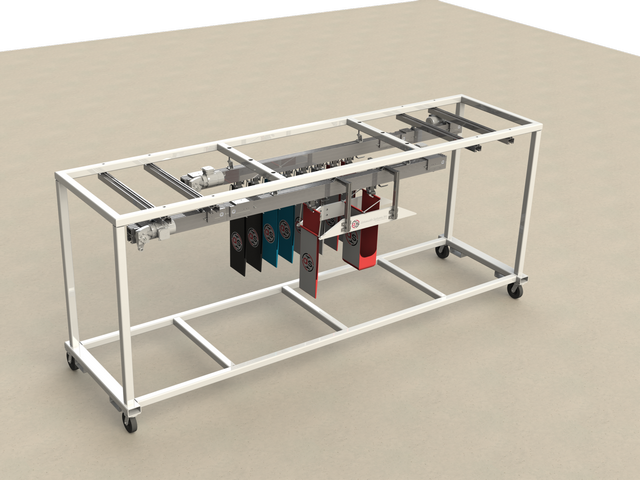 A Pocket Sorter consists of “pockets” which are connected to a track system with roller adapters that transport a variety of different sized articles. Pocket sorters are very dense sequencing/storage solutions that have the ability to buffer in overhead areas to save facility space. Products conveyed can range from flat-folded apparel goods and accessories to large-size normally non-conveyable items and even smaller items that are loose. These systems can track each pocket individually and be used in a number of ways to provide goods to person transport. 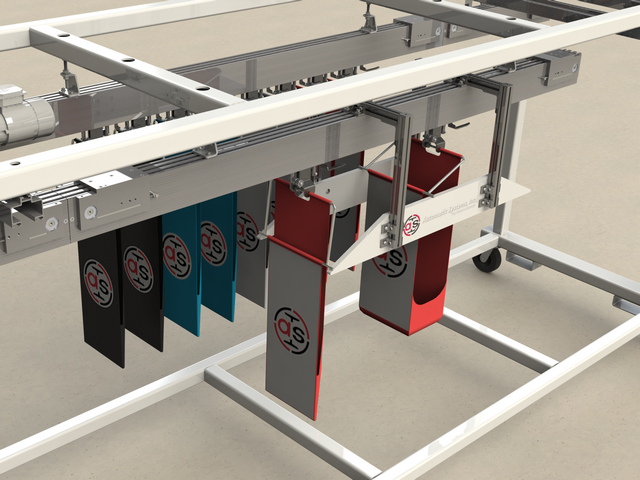 You can integrate the sorter with induction stations, goods-to-person pick stations, and pack station which allows the pocket sorter to simultaneously increase throughput and provide dynamic access to products.The sorter delivers pockets to a packer at an order level or in an exact sequence. A pocket sorter is the ultimate goods-to-man solution because the operator only needs to remove the items from the pockets and pack them. If you want a more advanced system, you can integrate the sorter with automatic packing machines. The flexibility with design allows you to maximize the existing footprint by utilizing “unused spaces”, instead of expanding or moving to a new facility, offering an opportunity for dramatic cost savings. ASI’s took a slightly different approach when designing our pocket sorter and developed a heavier duty version than any others currently in the marketplace. ASI opted for a standard component approach that easily interchanges utilizing modular components for the sorter. Having the ability to handle heavier loads (75+ lbs loads) allows us to deliver a solution that can automatically handle more of a customers products/SKU’s which minimizes the need to consolidate loads later on due to non-conveyables etc. This flexibility allows for complex picking, sorting, buffering, and sequencing in a cost-effective manner. 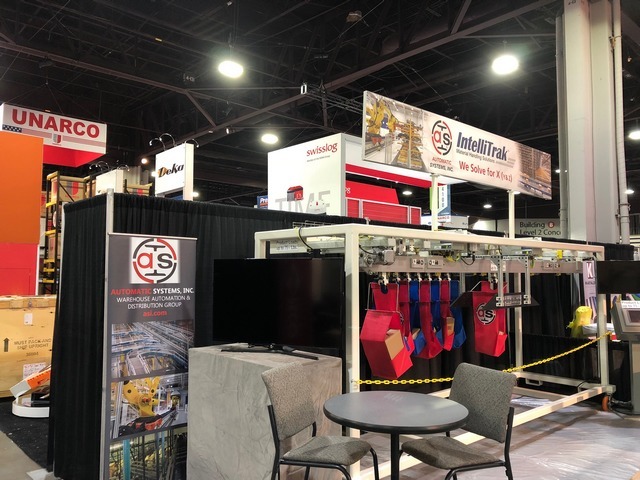 ASI is utilizing the pocket sorter in Warehouse applications, manufacturing as well as Heavy Duty Industrial applications. A pocket sorter has many different names with “Pocket” being the most recognized name, but it can also be called a “pouch” or “bag” carrier or sorter.